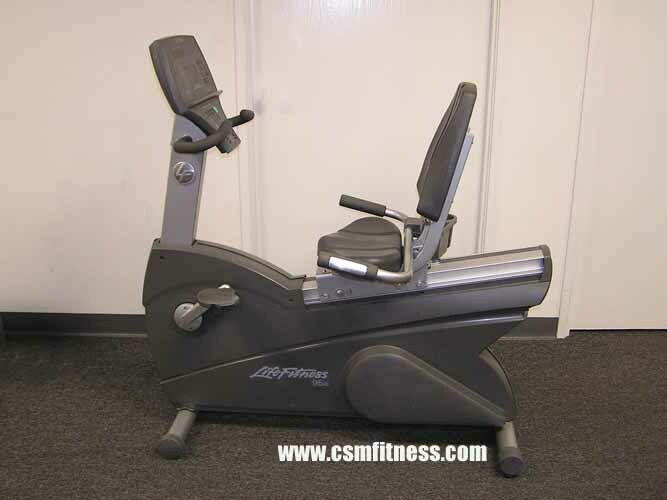 Lifecycle 95Ri which has deluxe back support and seat, 11 Wide Ride pedal adjustments, side and front handlebars and a dual-level alphanumeric LED console. The Lifecycle 95Ri features heart rate monitoring; Lifepulse hand sensors and Polar telemetry and it has 29 workouts, including 5 Zone Training workouts and Air Force PRT and Fit Test protocols. User can select from up to 9 different languages and an integrated reading rack and accessory tray.